The NA Standing Committee’s decision was based on his violations of the party’s rules and his letter of resignation, due to health reasons, Phap Luat news site reported.. In particular, relieving Nhuong of his NA membership resulted from multiple violations while he was on duty as chief of the Investigation Police Agency Office under the Ministry of Public Security. 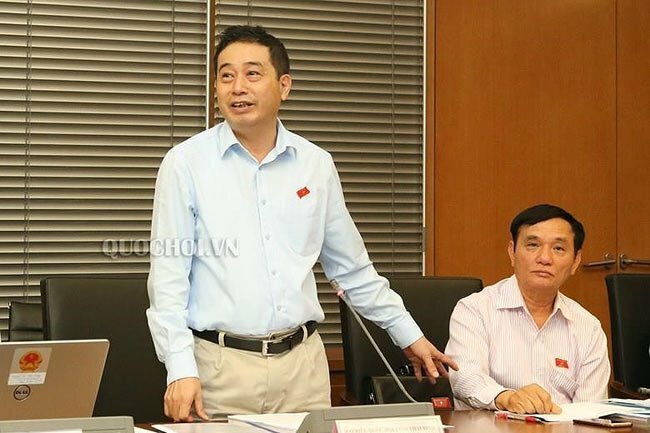 According to the Party Central Committee’s Inspection Commission, Le Dinh Nhuong, as a leader, had to assume all responsibilities for violations and shortcomings in his unit. The General Police Department’s Party Committee had seriously violated working mechanisms and loosened management and inspection, creating favorable conditions for some individuals to abet and cover up for the organization involved with online gambling for a considerable period, in accordance with the outcomes of the 30th session, which was held in Hanoi from October 17-19 last year. It also committed violations of regulations on personnel appointments, investigations and the handling of some cases, as well as the execution of projects. The violations of the Standing Board of the General Department of the Police’s Party Committee, along with some individuals, harmed the prestige of the Party and the police, as well as sparked public concern.